Site managers can now customize the password settings and strength for specific campuses and organizations. This includes requiring users in those campuses to create passwords with a minimum length and other defined criteria to meet password requirements. User profiles now list the password requirements, including the name of the security rule set the user belongs to. Navigate to the Control Panel > Security screen where you will see a new button under the tools menu on the right called Security Rules Sets. Select the button to create password rules and then apply them to specific campuses. 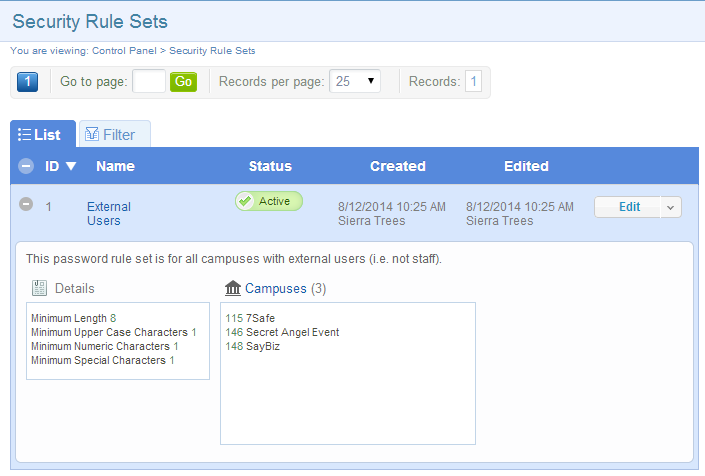 You can expand the list of security rules sets to see which rules are defined and which campuses are using the set. 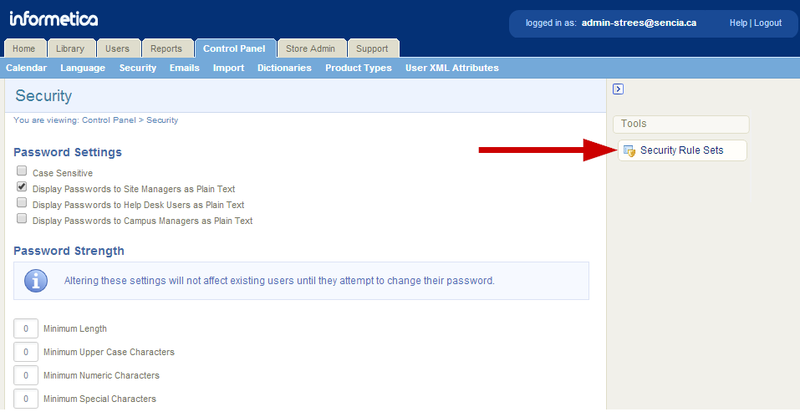 Visit the Password Security chapter of the Site Manager user manual for more details and instructions. If you would like this new functionality, please enter a SRS ticket to request that Security Set Rules be enabled for your system.